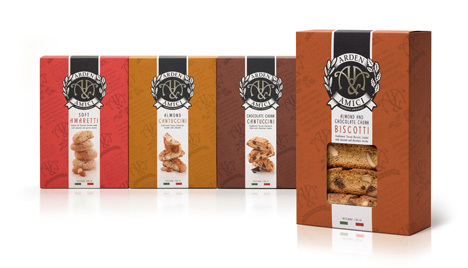 1HQ has created branding for a new range of Italian biscuit and bakery products, Arden & Amici, which is owned by distributor Arden Fine Foods. 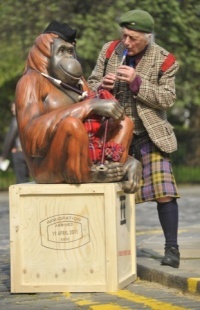 The consultancy was appointed to the project in October 2010 following a strategic pitch. 1HQ has created a new brand positioning around the strapline ‘Arden & Amici – bringing Italy to your table,’ which it says reflects the brand’s close relationships with Italian bakers. The consultancy says the brand mark of two ‘A’s entwined with the English oak and Italian olive branch was created to symbolise friendship, while a map and photo from Italy aims to further accentuate ‘a personal touch’. The packaging features a patterned background inspired by Italian wrapping paper, and a label device for a ‘hand-finished feel’, says 1HQ. Tim Holmes, 1HQ design director, says, ‘It had to be distinctly Italian but representing classic contemporary, by fusing the traditional with more modern elements. The branding will initially be seen across all packaging and on the brand’s website and Facebook page. The range of four varieties of sweet biscuits launches on Monday in Waitrose, and it is hoped this will be followed by savoury variants.